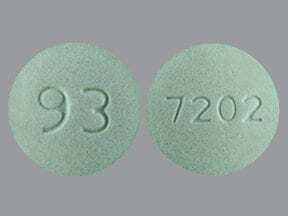 What conditions does Pravastatin SODIUM treat? List Pravastatin SODIUM side effects by likelihood and severity. What should I know regarding pregnancy, nursing and administering Pravastatin SODIUM to children or the elderly? Some products that may interact with this drug include: colchicine, gemfibrozil. 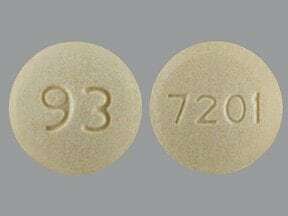 Does Pravastatin SODIUM interact with other medications? 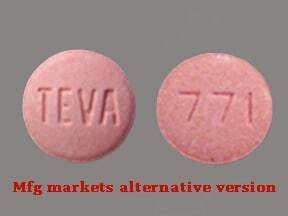 This medicine is a pink, round, tablet imprinted with "TEVA" and "771". This medicine is a pink, round, tablet imprinted with "93" and "771". 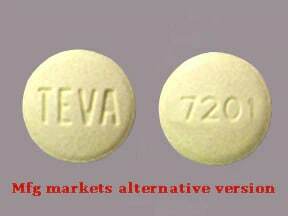 This medicine is a light yellow, round, tablet imprinted with "TEVA" and "7201". 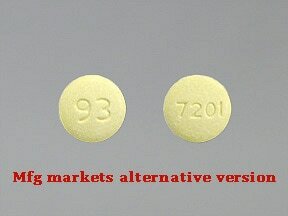 This medicine is a light yellow, round, tablet imprinted with "93" and "7201". 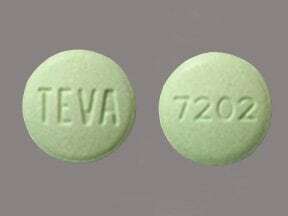 This medicine is a light green, round, tablet imprinted with "TEVA" and "7202". 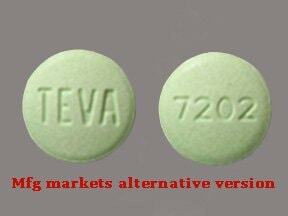 This medicine is a light green, round, tablet imprinted with "93" and "7202". This medicine is a off-white, oval, tablet imprinted with "TEVA" and "7270". 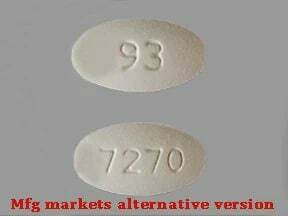 This medicine is a off-white, oval, tablet imprinted with "93" and "7270". 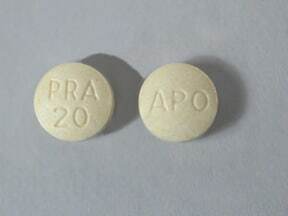 This medicine is a off-white, round, tablet imprinted with "APO" and "PRA 20". 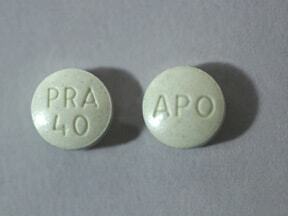 This medicine is a light green, round, tablet imprinted with "APO" and "PRA 40". 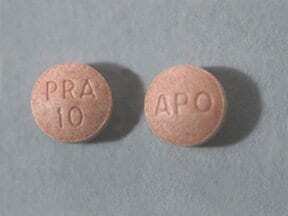 This medicine is a light pink, round, tablet imprinted with "APO" and "PRA 10". 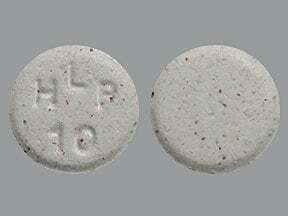 This medicine is a light brown, round, tablet imprinted with "HLP 10". 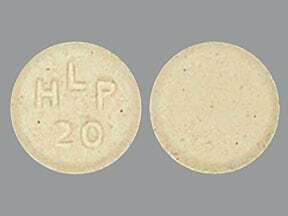 This medicine is a light brown, round, tablet imprinted with "HLP 20". 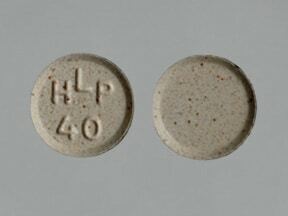 This medicine is a light brown, round, tablet imprinted with "HLP 40". 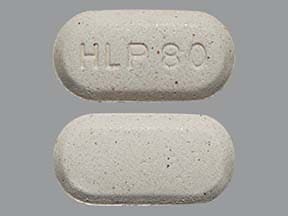 This medicine is a light brown, oval, tablet imprinted with "HLP 80". 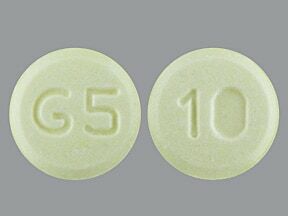 This medicine is a yellow, round, tablet imprinted with "G5" and "10". 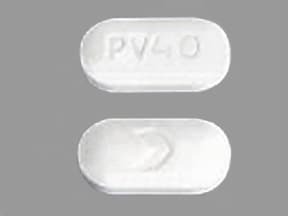 This medicine is a white, oblong, tablet imprinted with "PV40" and "logo". 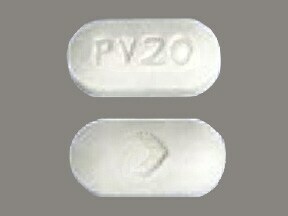 This medicine is a white, oblong, tablet imprinted with "PV20" and "logo". 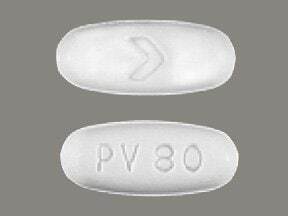 This medicine is a white, oblong, tablet imprinted with "logo" and "PV 80". 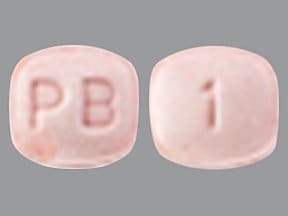 This medicine is a pink, rectangular (rounded end), tablet imprinted with "PB" and "1". 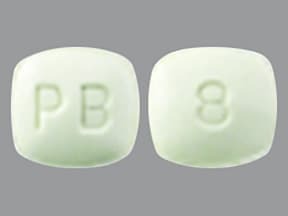 This medicine is a light green, rectangular (rounded end), tablet imprinted with "PB" and "8". 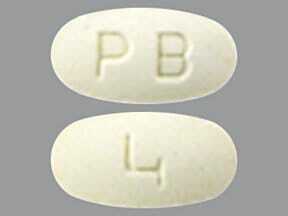 This medicine is a yellow, oval, tablet imprinted with "PB" and "4". 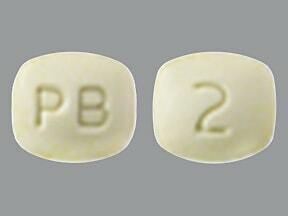 This medicine is a yellow, rectangular (rounded end), tablet imprinted with "PB" and "2". 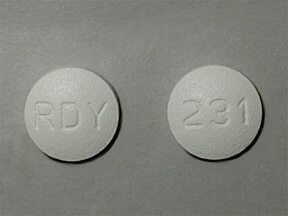 This medicine is a white, round, coated, tablet imprinted with "RDY" and "231". 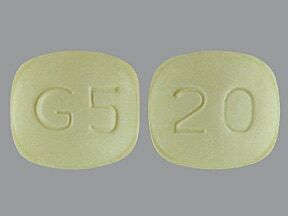 This medicine is a yellow, rectangular (rounded end), tablet imprinted with "G5" and "20". 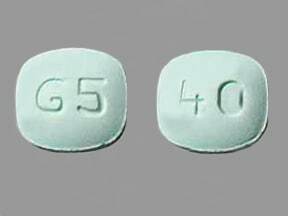 This medicine is a green, rectangular (rounded end), tablet imprinted with "G5" and "40". 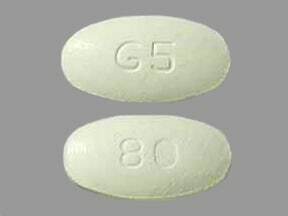 This medicine is a yellow, oval, tablet imprinted with "G5" and "80". 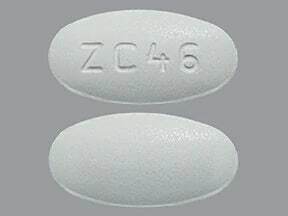 This medicine is a white, oval, tablet imprinted with "ZC46". 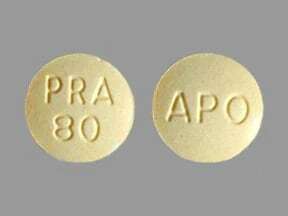 This medicine is a yellow, round, tablet imprinted with "PRA 80" and "APO". 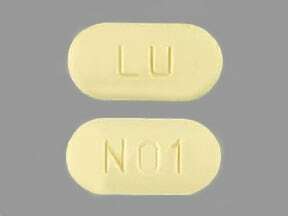 This medicine is a yellow, oblong, film-coated, tablet imprinted with "LU" and "N01". 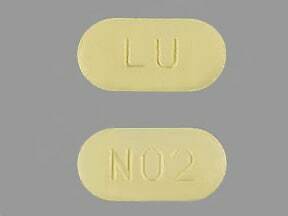 This medicine is a yellow, oblong, film-coated, tablet imprinted with "LU" and "N02". 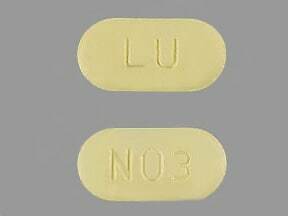 This medicine is a yellow, oblong, film-coated, tablet imprinted with "LU" and "N03". 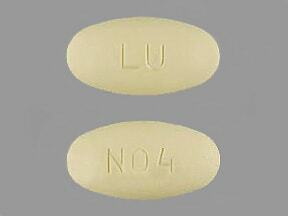 This medicine is a yellow, oval, film-coated, tablet imprinted with "LU" and "N04". 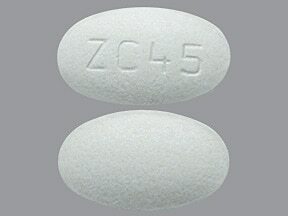 This medicine is a white, oval, tablet imprinted with "ZC45". 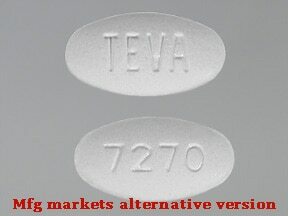 This medicine is a white, oval, tablet imprinted with "ZC44". 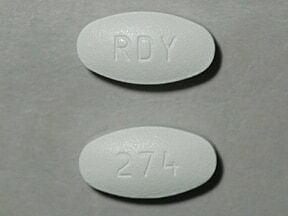 This medicine is a white, oval, coated, tablet imprinted with "RDY" and "274". 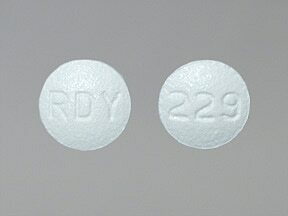 This medicine is a white, round, coated, tablet imprinted with "RDY" and "229". 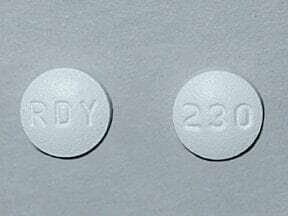 This medicine is a white, round, coated, tablet imprinted with "RDY" and "230". 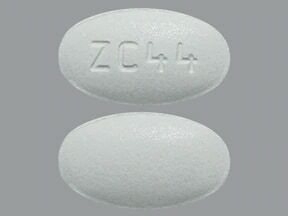 This medicine is a white, oval, tablet imprinted with "ZC43". 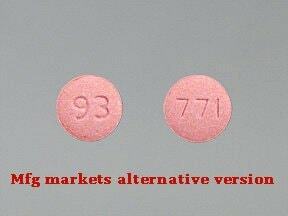 Are you taking Pravastatin SODIUM? 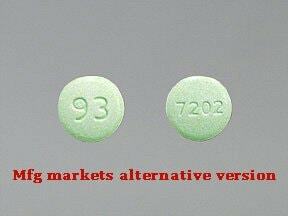 Are you considering switching to Pravastatin SODIUM? 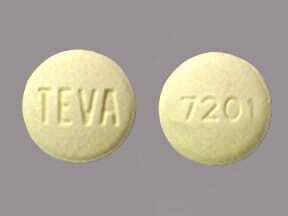 How long have you been taking Pravastatin SODIUM?